If you have recently begun considering the possibility of renovating the outside of your house, you’ve probably started looking at potential color schemes. This can be somewhat overwhelming, especially for homeowners who don’t do a lot of remodeling projects! As a matter of fact, there’s a good chance you stumbled upon this guide because you need some help pointing you towards the right exterior hues for your residence. You’re in luck! As you read the next few paragraphs, you will see tips and tricks that are intended to simplify the process of color selection. Remember, though, if you still have questions or aren’t sure what direction to go in when you’re done reading, working with a professional designer may not be as expensive as you think. Many of these experts offer color consultations for a flat fee or an hourly rate. 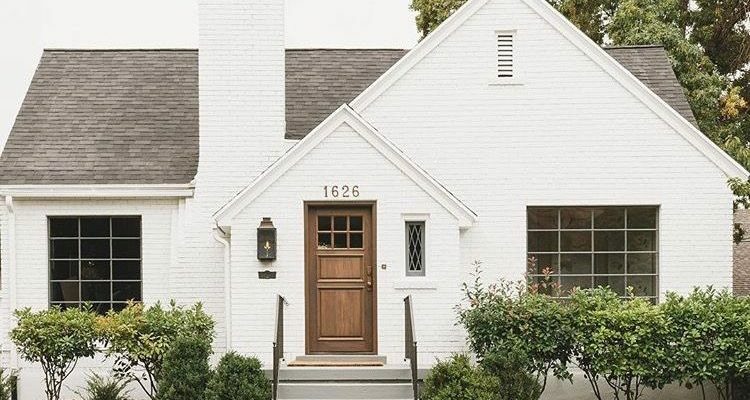 Whether you live in a newly constructed suburb outside of Winston-Salem, NC, you own a townhouse in Richmond, VA, or you have a historic gem on the coast of Charleston, SC, white will work as the primary exterior color of your home. This hue is clean, fresh, and ideal for any residential style. Furthermore, white essentially affords you a blank canvas. You can add any accent colors and features you choose to make your house truly reflect your personal style. If you reside in a rural region, for instance, you might want to go with a country look, complete with red barn shutters and cozy rocking chairs on the front porch. If, however, you reside in an upscale suburban area, adding stone columns and classy planters to your front yard can elevate the appearance of your white home, giving it a glam aesthetic. If your house is constructed of unpainted brick or stone and you aren’t crazy about the idea of painting it now, don’t fret. There are still plenty of things you can do to remodel your exterior by adding fresh hues. To pick the right accents, pay attention to the undertones in your brick or stone. Then, select shades that are either complementary or matching. If, for example, the stone your house is made of has distinct greenish tones running through it, aqua shutters would add modern flair. Or, if your home features red bricks with tan highlights, consider using yellow accents that will brighten your residence. If you’ve spent a lot of time decorating the interior of your home in a cohesive fashion that you love, take inspiration from your favorite rooms when you begin your exterior renovation. Not only will this make every aspect of your house mesh well together, but it will ensure that you’ll like the color scheme you select. Have a lot of greys and creams inside? Go with a similar palette for your exterior. As you start seriously considering a start date for your remodeling project, we hope you keep the Hatch Homes team in mind. We enjoy doing renovations of all kinds, and our skilled team looks forward to getting to know you and your family, all while helping you transform your home. Give us a call today to schedule a consultation.